There is something very powerful inside of you, running your body at all hours of the day and night. You don’t have to think about breathing, pumping your blood, or healing the cut on your finger-it just happens! Take a moment and reflect on the amazing intelligence that would be required to run such an operation. Just the logistics are staggering! I wonder if even the most technologically advanced super-computer could handle the vast amount of data that is required to maintain homeostasis in the human body. The good news is you don’t need a super-computer…you ARE the super-computer! In concluding this chapter, I would like to again stress the true value of chiropractic. Chiropractors do not treat diseases or conditions. Instead, we detect and correct vertebral subluxation to allow your body to function properly. When vertebrae in your spine become subluxated it lessens the ability of Innate Intelligence to perform the daily chores that are necessary for you to survive, and that’s a problem. Whether you are currently symptomatic or not, it is a good idea to make sure your body can function properly. 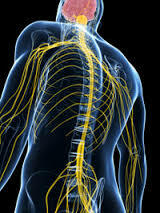 Get in touch with a great chiropractor and get yourself adjusted on a regular basis.